Columbo’s career was on the line when he went head-to-head with fiendish police commissioner Mark Halperin in A Friend in Deed, but SPOILER ALERT: our man comes out on top. Despite its dark themes and serious presentation, A Friend in Deed is easily one of Columbo‘s finest outings, and Richard Kiley is perfectly cast as the dangerously seductive Halperin. NB – the Columbo YouTube channel has taken this episode down. BOOOO! HISSSSS! Please lock me up Lieutenant! I can’t stand to go to the Roller Derby again! Tags: Ben Gazzara, Friend in Deed, Lieutenant Columbo, Mark Halperin, Val Avery. Bookmark the permalink. It’s so good! A real shame that the Columbo YouTube channel have taken this episode down. Not sure why this one is unavailable, in the United States, but I have watched the first four without a problem. The idiotic channel has taken the episode down. No idea why. They did the same to Stitch in Crime as well. I guess they don’t really want fans to have access to too many episodes. Yeah, it is super annoying they keep uploading episodes and then pull others down. Really dumb. I just noticed ‘Suitable for Framing’ was already removed when ‘Swan Song’ went up after just being uploaded 6 weeks ago??? What gives?!?!!?!?!!?? My theory is that maybe the channel can only have a maximum of 6 episodes available at any given time? But why not remove the episodes they posted a year ago first if they must? ‘A Friend in Deed’ was only up for about 3 months as well. What channel are you talking about? This is my favourite episode as well, at least of the ones I’ve seen so far. Apart from the sheer badassery of Columbo taking down his own boss, there are so many things to love: Halperin is deliciously evil, the ‘gotcha’ at the end is one of the best ever, and Columbo’s courteous, respectful treatment of Artie Jessup shows what a genuinely nice guy he is. I like the scenes of Columbo interacting with the other cops down at headquarters; he often comes across more like a private detective than a police officer, but not here. I also like the fact that he can’t rely on his usual ‘bumbling’ persona, and has to be a bit more subtle in his pursuit of Halperin. Strange thing about Columbo’s “desperate gamble”– all the other cops in the room seem to be in on it. Not once during the final confrontation does Halperin appeal to any of the the other officers searching the place, and when it’s over, they usher him out without a word. Sergeant Randall has been standing in the corridor with Jessup the whole time, even though Halperin said he should be taken in and booked. I keep trying to imagine the conference Columbo held with his fellow officers and his superiors before setting up the trap. Great episode, and darker than usual. Great point Joe. Great shows make you wonder what was happening in the background. Columbo manages to convince all these people that the deputy commissioner is a murderer. What must it have been to be in that conversation? 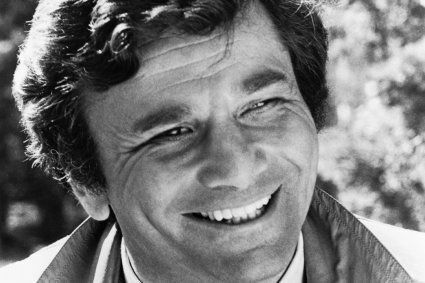 Part of that had to be that Columbo was “fast becoming a legend” in the department and enormously respected that allowed them to go along with the setup, and NOT squeal. Also, think of Columbo; he was putting his entire career on the line that Halperin would take the bait. All fits on this being one of the best. How did trihydric alcohol glycerol and palmitic acid turn up in Margaret Halperin’s lungs? Will Columbo decide to trade-in his Volvo for an $80 credit? How did Columbo’s underwear supposedly end up in Artie Jussup’s flat? Columbo answers these and many other questions in this classic Columbo episode. Actually it’s a Peugeot 403. One of my all time faves!! This is my underwear. This is a picture of my nephew. My # 1 favorite Columbo episode. Kiley perfect casting, and comes through in a big way. The ending in my opinion is the best out of all gotcha endings. Plus ya got Val Avery in it! Love this underrated character actor, who was in a few episodes. I could go on and on…but you get my drift. It really is terrific across the board. The gotcha ending is indeed No. 1, not only because of the brilliant idea itself, but also because of the triple satisfaction it yields – for Columbo, because of the desperate gamble he took and his job being on the line; against Halperin, because of his smug arrogance and cold blooded murderer heart; and for Jessup, because of the unjust advantage they sought to take of this small timer. The overall duel between Columbo and Halperin throughout is also superb, and McGuire and (especially) Avery are superb secondary actors. I pretty much agree with everything in the Columbophile review. I also would probably list it about No. 5 overall (though with a few changes in the first 4), but I could not argue strongly against anyone who picks this as No. 1. Great points Leo, you nailed my feelings exactly. THIS is my all-time number 1 favorite episode. Columbo was in its third season, the Lieutenant was a fully-formed rich character, and this was his greatest challenge; he had to arrest his boss. Everything was great. Richard Kiley was one of the best evil people ever; there was no circumstances or kindness in him that would make him sympathetic. The writing was some of the best with a brilliant double-twist. And the final gotcha was one for the ages. Finally, we got to see the REAL Columbo, not the one he showed to his potential collars; the consummate professional practicing his trade. It was also the story of two men “owned” by their wives, one with enormous power and one with none. Columbo’s scene with Artie Jessup is one of my all-time favorites because this was the straight-up detective asking for help by treating Jessup with respect. For an American, (and a self-confessed grammar Nazi), when he says “may I”, he is asking Jessup for permission first before he sits down. It’s a great subtle point that shows Columbo is speaking to him as an equal. My credits to Val Avery for making Artie Jessup a sympathetic character, lost to the winds of fate. Giving Jessup a chance to help take the commissioner down was a great touch. I’ve watched this one many times and it never disappoints. Very few weak points and lots of the best of Columbo. There’s always been only 1 Jessup in my mind….and it ain’t Colonel Jessup….some people just can’t handle the truth….